We’re always ready to share the newest catheter products available with you. Have you heard about ConvaTec’s new line of GentleCath™ hydrophilic catheters. A hydrophilic catheter has a type of coating which, once activated by water, becomes lubricated with a slippery coat that’s directly bonded to the catheter tube itself. This means there is no need to manually apply lubricating jelly to the catheter as you would with a regular straight catheter. 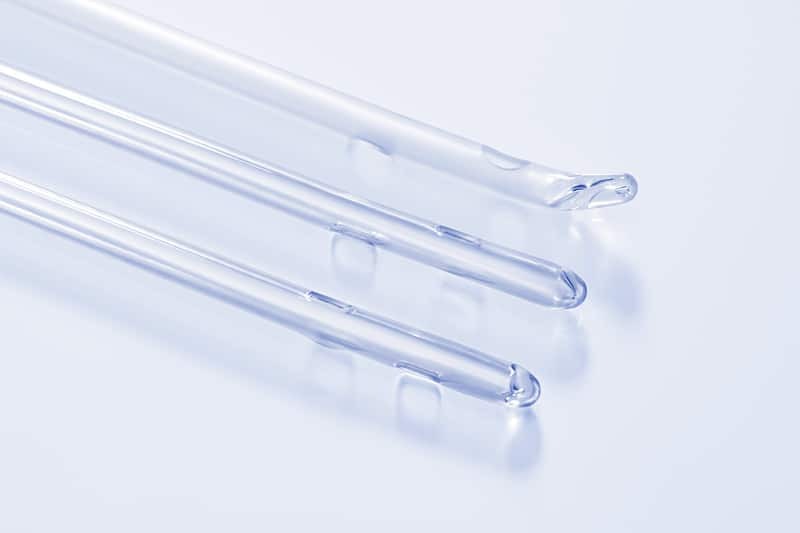 Compared to uncoated catheters, hydrophilic catheters may help reduce the risk of urinary tract infections (UTIs). What Are the Features of GentleCath™ Hydrophilic Catheters? ConvaTec’s GentleCath™ hydrophilic intermittent catheters are coated with a hydrophilic polymer that reacts with water to fully lubricate the catheter for insertion into the body. No additional lubricating jelly is needed at all! Because the coating is bonded to the catheter, the water-activated lubricant will not slough off as the catheter enters your urethra, so your catheterization will remain comfortable all the way through. 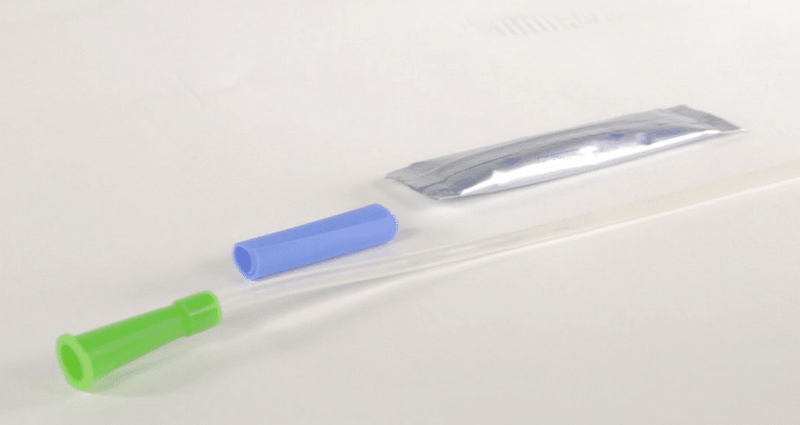 This blue strip is included with each GentleCath™ hydrophilic catheter, which makes it easier to handle the catheter during insertion and helps to keep your hands from touching the catheter directly. The no touch strip helps keep the process more sterile, minimizing risk of infection. It’s also easily removable. This easy-to-pop water sachet allows you to use a catheter where ever you have privacy. With an included water packet, you can rest easy, knowing you’ll never have to search for a sterile water source to activate the lubricant on your hydrophilic catheter. This makes catheterization convenient, whether you’re at home or on the go! The package includes a blue circular wall attachment tab. When you pull off the blue circle, it reveals a sticky surface that allows you to attach the package to the wall while you wait the 15 seconds for the water to activate the hydrophilic coating. 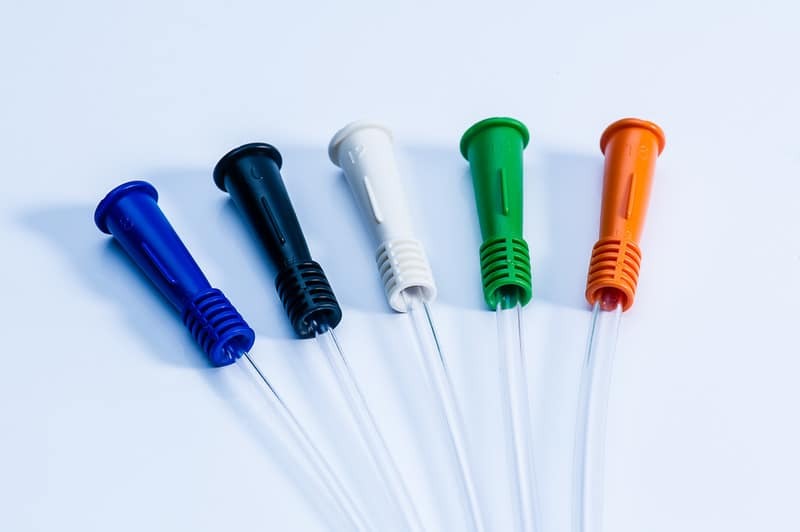 The latex-free vinyl catheters also feature color-coded funnels to help you determine French size. How Do I Use GentleCath™ Hydrophilic Catheters? Take a look at this quick introductory video direct from ConvaTec, which gives you some step-by-step cathing instructions and a good look at the catheter features in action. For more information regarding how to catheterize, feel free to call one of our trained specialists so we can walk you through that process. 180 Medical also has one-of-a-kind catheterization instruction materials we can send to you with your order, including a step-by-step DVD and printed color brochures. Is This Catheter Available in My Size? 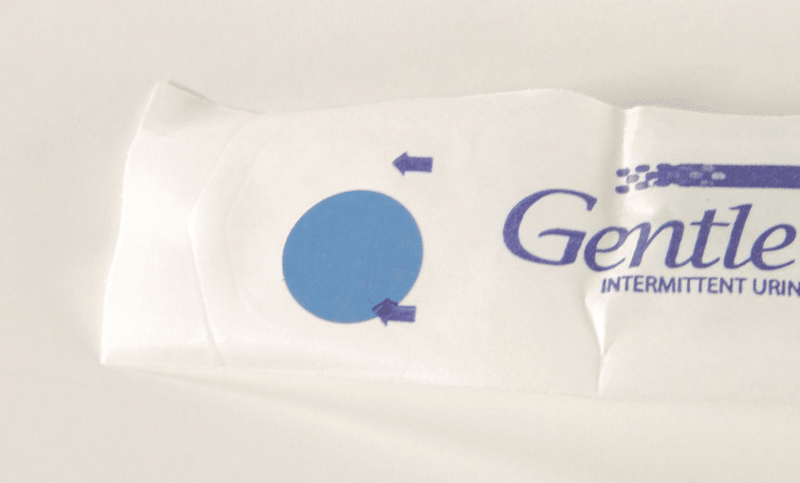 GentleCath™ hydrophilic straight tip intermittent catheters are available in female length (8 inches) and male length (16 inches). Male length catheters feature French sizes from 8 Fr to 18 Fr, and the female length come in French sizes from 8 Fr to 16 Fr. GentleCath™ hydrophilic coude tip intermittent catheters are male length (16 inches) and are available in French sizes from 8 Fr to 18 Fr. Which GentleCath™ Products Does 180 Medical Carry? 180 Medical proudly carries GentleCath’s entire product line, including their 100% latex-free PVC (vinyl) straight intermittent catheters, coude tip, red rubber catheters, hydrophilic catheters and hydrophilic catheter kits. We are happy to help you find the right catheter for you, and we can verify your insurance to determine if and how these products are covered on your policy.